STEP 2: Click "Register" and you will be redirected to a registration form. Enter your basic information and select 3 security questions. Fields marked with an asterisk are required. You can't leave any field blank. Click "Submit Registration" once completed. Once the registration is complete, a confirmation email will be sent to your email address. 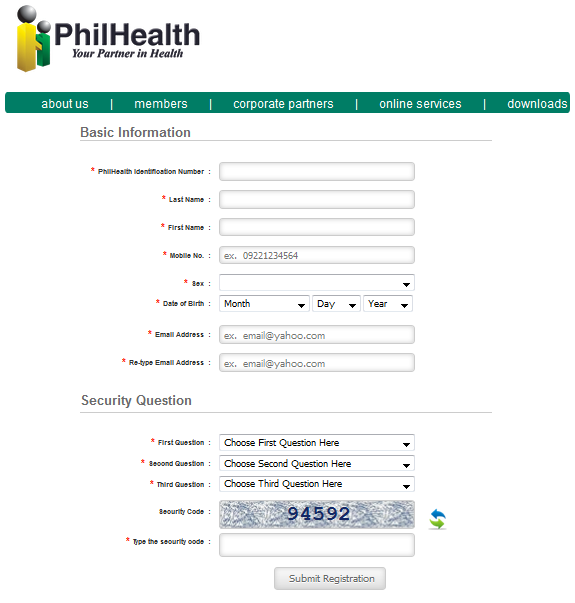 It contains the activation link and login credentials for your PhilHealth online account. 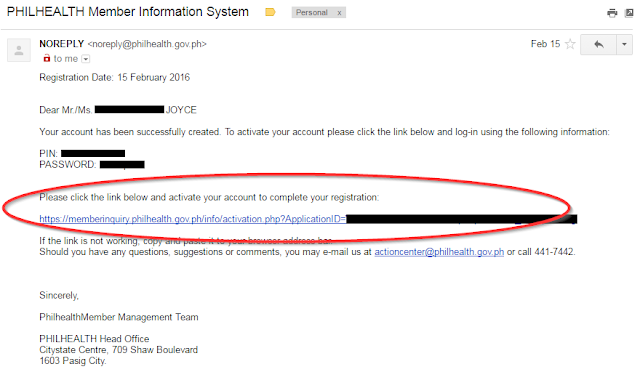 STEP 3: Go to your email account and open the "PHILHEALTH Member Information System" email from PhilHealth. Click the activation link to activate your account. STEP 4: When you click the activation link, you will be redirected to a page confirming that your account is activated. Click the Login link to login using the PIN and password included in the email. STEP 5: A challenge question will be asked before gaining access to your account. Do not forget the questions you have selected when you fill out the registration form because these will be asked whenever you log in to your PhilHealth online account. 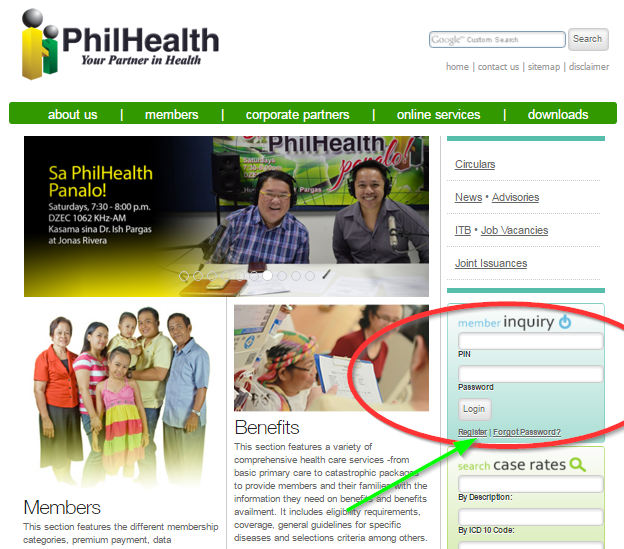 Once logged in, you can immediately view your PhilHealth Online account. 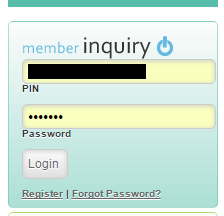 So, what is inside a PhilHealth online account? There are four different tabs in your Philhealth online account. These include your Member Profile, Premium Contributions, an option to Reset Password, MDR Printing, & the Logout button. 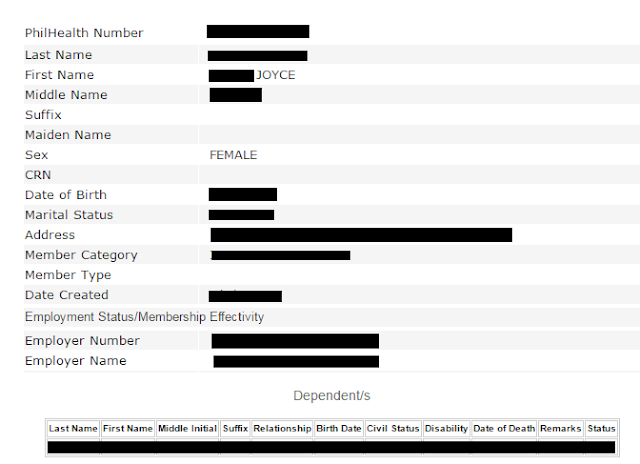 MEMBER PROFILE: The Member Profile page contains your basic information, member category, and your dependents' data. 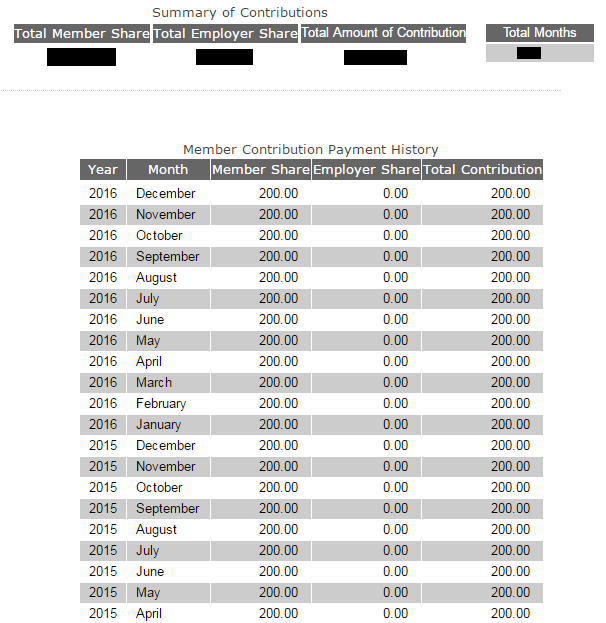 PHILHEALTH PREMIUM CONTRIBUTIONS: The Premium Contributions page contains a summary and tabulated data of your contribution payment history. This is where you can check if your employer regularly and accurately remits your deducted PhilHealth contributions. 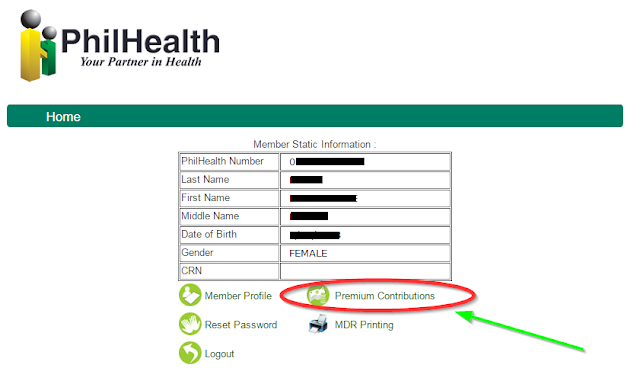 To view your Philhealth Premium Contributions online, just click "Premium Contributions" and you'll be able to see your Member Contribution Payment History. MDR (Membership Date Record) Printing: This is where you can download and print your Membership Data Record. The PhilHealth MDR contains your basic information, your employer info if you’re employed and the dependent or beneficiaries that are under your name. 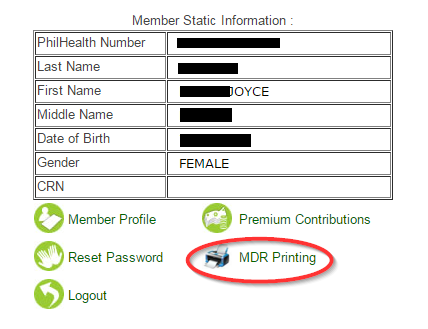 In case you need a hard copy of your PhilHealth MDR (Member Data Record) as a requirement for something then you can easily print it using your PhilHealth Online account. Just click on the printer icon for MDR printing. I'm happy that our government has started to integrate technology in some of its processes. It's a thing that has been long overdue. I've been wishing for this since I started working online. And I am thankful that it's finally happening. Now, we can conveniently do some of the Government transactions online. Aside from PhilHealth online inquiry, I am also happily using SSS' online facility to view my SSS monthly contributions. What I have yet to try is the newest PRC renewal online. Well, I'm gonna have to wait until my license expires. That's it for now! Enjoy your hassle-free transactions online! For more info, visit Philhealth's website at https://www.philhealth.gov.ph/. 11 comments on "[PHILHEALTH CONTRIBUTION INQUIRY] Check PhilHealth Contribution Online"
Please contact Philhealth directly at (+632) 441-7442 or email them at actioncenter@philhealth.gov.ph Thanks! I tried to register, but it keeps on telling me that my email address is already exist. what does it mean? what am i gonna do?i already tried all my valid email address, but still user name already exist. Is user name and email address the same? please responce. Thank you! Philhealth benefit of OFW is different from SELF-EARNING INDIVIDUAL? Paano malaman dto ang philhealth number kong sakali..tnx. Nakailang try nko for member activation pero lagi sinasabe username already exist,ok lng b magbayad ng contribution khit d active yung account?